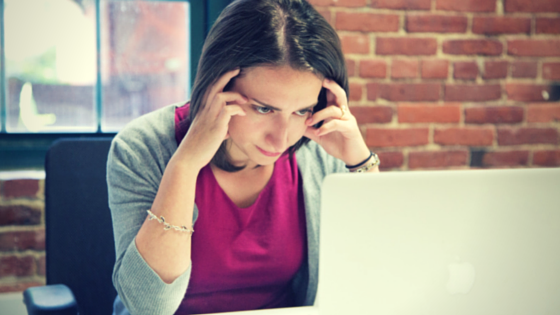 When the New Year began many of us committed to being more organised and structured at work. We made great efforts to tidy our desks and eliminate the clutter we’d magically accumulated. We committed to using our calendars more effectively and to prioritising tasks and actions. This is all good and indeed necessary. Now it’s time to expand our focus and consider additional actions to assist us in becoming more effective and efficient. The big complaint many have is the amount of time spent at meetings. Ask anyone about the greatest time wasters and invariably attending meetings will be mentioned. People get frustrated when they consider the time spent at meetings versus the results achieved. 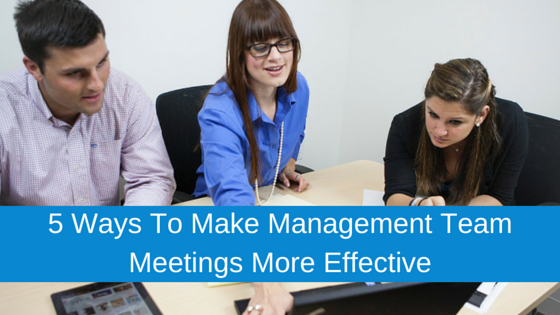 Too often they consider meetings exhaustive, repetitive and worst of all a waste of time! When you add up the cost of each person attending the meeting and the length of time of the meeting, what is the cost to your organisation? Can you say this is good value for money? If not, what are you going to do about it? Every meeting should have a clear purpose which is evident to all. Simply having the meeting because you’ve always had it is not good enough. Define the outcomes the meeting needs to achieve e.g. measure progress on the project versus what was planned and identify next steps. Everybody’s time is precious. Don’t include someone unless you can clearly articulate the reason why they should attend and the input you expect from the person. An agenda needs to have structure. It is not a list of bullet points. An agenda should include a directive e.g. Agree the response to senior management on the new process for resolving customer issues. An agenda should also have the items prioritised and times assigned to each so attendees also know they key issues that will receive the greatest focus. The facilitator’s job to keep the meeting on track and ensure the issues identified are addressed. The key skill required is communication: the skill of actively listening, challenging contributions, drawing in reserved people and limiting others who are dominating. In advance consider how you will manage these different challenges and anticipate your responses to the dominant person or indeed the reserved individual. Review the agenda and determine progress made in terms of achieving what you had identified. Ask others about the meeting: how was it helpful and how could it be improved? Be prepared to stop meetings if they are no longer required. 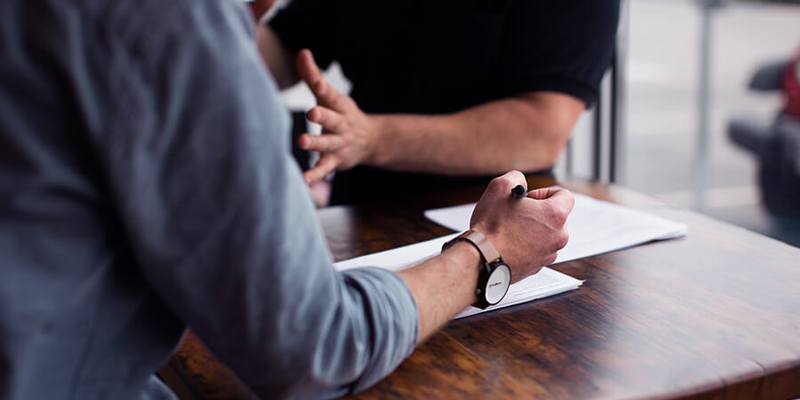 Of course when it comes to meetings in which you participate you need to consider how you can influence the facilitator to take on board your recommendations for managing the meeting more effectively. Also, query your participation on meetings. Be disciplined and consider your value to the organisation: would you be more valuable to your organisation by attending the meeting or focusing on other deliverables? Of course, when opting out of meetings you need to consider how you communicate that to the facilitator. Again, communication skills are critical. 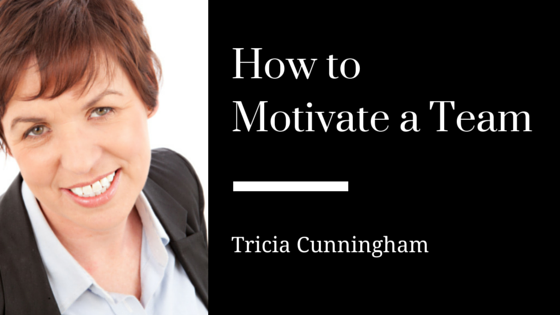 Tricia Cunningham is the co-founder and senior partner at LEAP. Since 2008 it’s been a rough ride for small to medium sized businesses. Economic recovery has been painfully slow, and for many business owners and managers survival has been the name of the game. But as LEAP’s Tricia Cunningham points out, there is an inherent danger in companies remaining in survival mode for too long and not focusing on what they need to do to move beyond this stage in the development of their business. 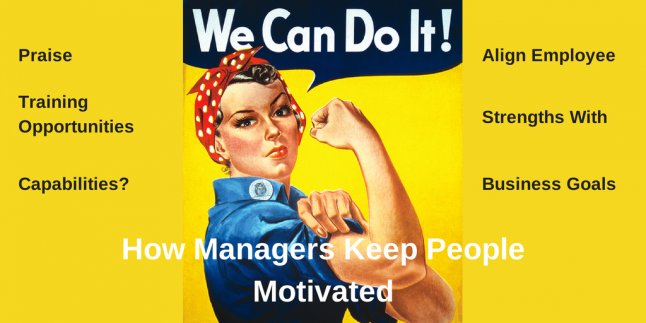 Tricia what are managers telling you about the challenges they face? Simply put, the greatest challenge managers face is delivering results in a way that keeps a team motivated and individuals committed to delivering results, month after month. In these times there is huge pressure on businesses to deliver results. Everybody has to stay focused on targets, take the eye off that and the business slips. However, as well as focusing on that, managers are realising that they need to stop for a moment and consider how we are achieving results. You can achieve results in a way that builds a strong team, ensures people are working with you, and that people remain motivated and committed to the organisation. It doesn’t mean that results slip. At the moment there seems to be a heavy emphasis simply on the results. Managers are working to achieve results not recognising that, in the process, people are finding it overly stressful and chaotic. Practices are scattered, there is poorer communication across divisions and across team members. Everybody is focusing only on what they need to achieve themselves, because this is what they are being measured on. There is such a focus on the business and what they’re being measured on that they’re not asking themselves am I doing it the right way? Am I doing it in a way that is drawing on the strengths of others, or in a way that ensures information is communicated to other departments? All of those good practices are being ignored to some degree as managers focus exclusively on targets. The impact of course is that there is duplication of work, or opportunities are missed, or people are drained to the point of being unmotivated and unable to contribute effectively. They lost focus because the pressure is on businesses to deliver, particularly in the last number of years. Companies are under severe pressure to be competitive and reduce costs, to increase customer numbers and margins. All of those factors are at play and they are very important. But when we focus exclusively on those things, we lose sight of some of the good things that have helped build the organisation to the level that has allowed it to manage through the difficult times. There is a danger that companies will achieve targets, but realise too late that many of the good practices that could allow them to move beyond survival mode and into success mode, have been lost. If they don’t get back to those good practices, they will remain in that survival mode mentality where it’s just about the targets. They forget the other vital areas like how the team is functioning together, and communication between departments. Was this a conscious decision by companies? No, it wasn’t conscious. What happened is that businesses had to get leaner and more focused because things got so tight. There was no fat allowed so it got trimmed back to the bare essentials. Organisations acted as though it didn’t matter if people were happy or not. Their mind-set was I have to get the numbers or the business will close. I have to increase customers and margins and cut down our costs. Cutting back and being very lean became the sole driver, but some managers stopped asking themselves an important question. Are we still maintaining good working practices? Practices that will allow us to achieve the numbers in a way that keeps people motivated and involved in the business, and will help us therefore move to sustainability and not simply survival. We have had 5 years of an economy in survival mode. Are any companies you work with showing signs of becoming more conscious of good working practices again? There definitely is a move towards wanting to look at this area again. Companies are recognising that they have some really good people who have stayed with them, and worked hard for them to try and survive through difficult times. Now they are thinking, if I am to keep this person long-term I need to start looking at what I can do to develop the person and keep them engaged with the business. Long term businesses won’t succeed if they keep the disciplines of survival mode; it’s not good for the business. In that mode they’ll never get the business to the next level as the skills that got them through the survival stage are not necessarily the skills that will get them to the next stage, which is about success. So they are recognising there are things they need to start doing to develop their skill sets to get them to the next stage. With that in mind what’s your advice to SMEs in terms of managing teams? Managers have to hit the pause button. They have to figure out the best ways to achieve results, so start looking internally at the organisation and start addressing three key questions. 1. Are we building strong collaborative teams across different functions? 2. What are we doing to improve communication across different functions? 3. What are we doing to keep people involved and motivated so they are able to be more productive and achieve results? We’d like to hear your thoughts on the issues raised here. Please leave your comments in the box below.